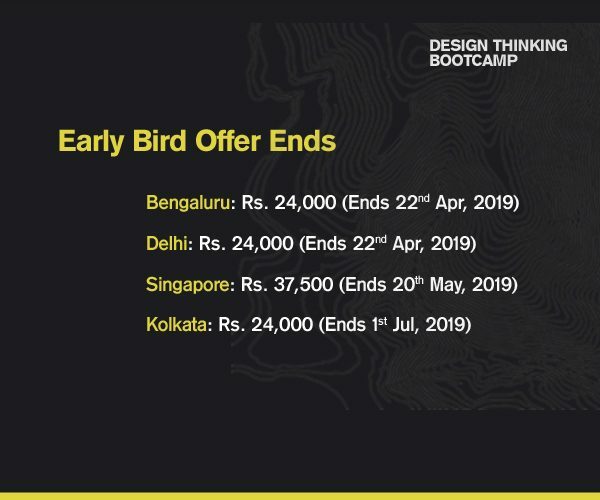 This two-day program delves into the fundamentals of the Design Thinking approach by immersing you in collaborative exercises, dynamic discussions, relevant readings, and quizzes. 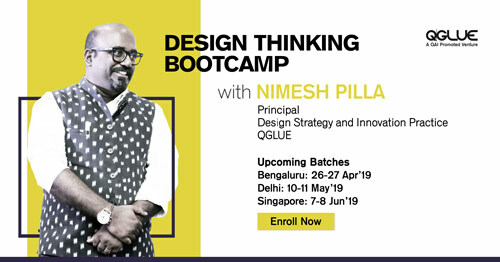 You will experience the power of Design Thinking concepts to create a path to innovation, unveil new possibilities, and make a greater contribution to your organization’s future success. 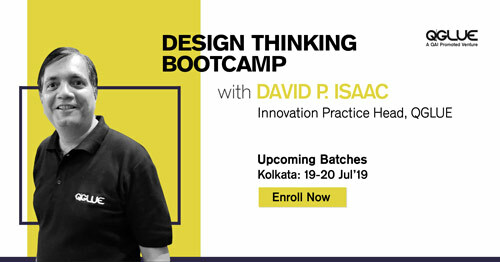 Topics covered include fundamental principles of Design Thinking, the Design Thinking process steps, and awareness of some of the tools used in Design Thinking. Emerging decision makers build their expertise in this workshop with specific design tools and methods as well as understand the end to end human-centered framework. Uncover opportunities and hidden potential in your organization. Nimesh comes with over 15 years of extensive experience in Experience Design, Service Design and Brand Strategy to enhance customer experiences and create stakeholder value through Business Innovation. 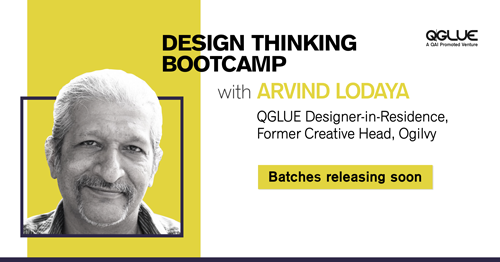 Previously he was the Principal Design Strategist for IBM Ix for India markets, Head of Design Strategy at Future Group’s business Innovation Team and DGM Design at Godrej. After his Bachelors at NID, Nimesh did his Masters in Strategic Design Management at Politecnico di Milano, Italy. Over the years he has consulted to numerous organizations large and small. Arvind is a strategic innovator and brand consultant. He consults on service & business innovation and branding, design and tech. He teaches at premier institutes in India & overseas—and has been involved in several startups, including an environmental NGO, a museum on conflict, a skilling initiative and a design-led business incubator. He has been invited to a lot of institutions such as IIT-G to advise on its BTech program, Impact Business Leaders, University of Stellenbosch, ISB, Ambedkar University and Startup Village to lead programs on Design and Business Innovation. 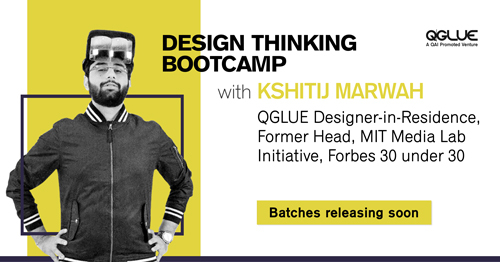 Kshitij is a MIT TR35 “Most Innovator of the Year” Under The Age of 35, co-founder of the MIT Media Lab India Initiative and was also on the Forbes 30 under 30 list for 2018. He is a double graduate from Harvard-MIT Health Sciences and Technology program and the MIT Media Lab. His curriculum developed at MIT has been deployed across Fortune 500 companies and top universities across spectrum enabling a new generation of innovators and spin-offs to tackle some of the hardest problems affecting these organizations. He has numerous publications and patents to his name and his inventions have been showcased across Forbes, USA Today, WIRED, TechCrunch amongst others. To further reinforce and implement their learning’s, participants work on a real-world business problem under the mentorship of a QGLUE Designer in Residence. This will be made possible via Skype/Conference calls and regular follow-ups, in a period of 4-6 weeks post the workshop. 1) Identify and Review the real world problem statement: The participants in conjunction with the Design Coach identify a real world, complex problem and work through the identified Problem, reframe as necessary and elevate the problem to represent human needs beyond the technological or business needs. 3) Ideating and Building Customer Journeys: Ideation is a change of mindset, judgment free thinking, responding and a sense of collaboration with other participants.It is essential we see solutions in the form of journeys. This allows for a broader canvas and a holistic view and allows for comparison between what is and what should be. 4) The 3 P’s – Prioritisation, Prototyping & Presentation: Creativity and holistic thinking allows for lofty ideals and ideas, it is essential these are prioritised, prototyped and tested on the practicality of implementation.Present findings and solutions to the Design Coach.